Unfortunately, unlike second-hand smoke, we cannot legislate against second-hand negativity. First of all, anyone of us we can be "that negative person" at different times. It is actually a natural default to go negative; to assume the worst. Have you ever been around someone who has difficulty letting go of old events or who dramatically points out everything that can go wrong? Yeah, me too! We might think they sound angry, impatient or insecure. 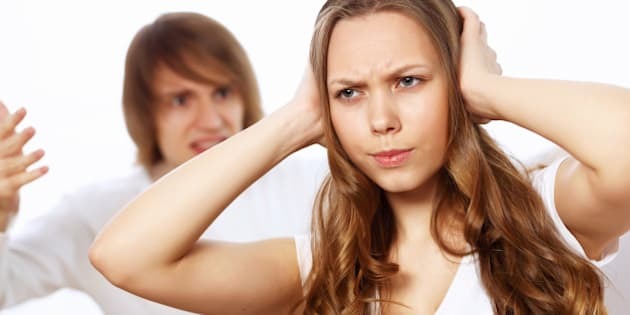 When this person is someone we have to be in close proximity with for long periods of time, this negativity can distract us and affect our ability to think clearly, make solid decisions or feel productive. Even our personal well-being can be compromised if the exposure is too frequent or long. Their negativity affects us just like someone smoking beside us will affect our lungs. In prehistoric times, it was the negative person who survived by going into fight or flight mode. Think about it; we are all descendants of hypervigilant, suspicious and aggressive people. If basic survival is our only goal, then negativity would be very useful. Neuroscientific research is unanimous in how emotional intelligence and innovation cannot happen when we are narrow in our thinking and looking for the proverbial boogeyman under every rock. So what can we do to protect ourselves from another person who insists on living with a prehistoric mentality? We need to empty our mind of worries and get in touch with our body and all the feelings and thoughts without judgment or fear. When we are fearful or in a fighting stance, the creative parts of the brain are shut down. To increase our creative capability and think outside the box of limiting thoughts, we must regularly empty our minds of negativity. Besides getting us in touch with our untapped brilliance, the more often we release our own negativity, the more it helps inoculate against the negativity of others. Cool video here. 2. Discreet disengagement; even in limited spaces. I was on a long drive with someone who loves to complain about other people's behaviours. After a couple of hours in the car, while she related different experiences, I had heard her angrily say "I was deeply offended" nine times. Her judgemental recollections were driving me crazy. I texted my husband from the back seat and, on his recommendation, I told her I was going to read. I discreetly disengaged while she continued her discussions with another travelling companion. Empathy is the opposite of getting defensive. I know, I know. Sometimes their over expressed anger makes us feel attacked. Trying to understand their current perspective and reframing why they may be behaving like this can help us to tap into patience and compassion. We don't have to have experienced another person's entire life to imagine why they might be in the mindset they are currently in. Instead of adding to the negative atmosphere, empathy is a tool that informs us on how we may emotionally support them and validate their experiences. It can be hard to hear their perceptions under the noise of their anger. As long as we are not taking something personally and are curious about their feelings, we are being empathetic. When we practice these inner dialogues, our assertiveness skills become a powerful tool in improving our relationships. You can "Download a Free Script with a Simple 4 Step Assertiveness Cheat Sheet". Obviously, these skills takes some experimentation. So there you go. You will be able to assertively ask people to decrease negativity if you practice daily mindfulness, disengage from the drama and reframe the story behind their behaviour to develop more empathy. I would really appreciate if you would share this article with others. And if you'd like to know more, I'd love to talk with you about my private services or just check out my video blog on my "potato sack meditation" for a quick mindfulness technique that my clients love. To your positively empowered self!